Do you know the SIELE certificate? The paperwork will be done online. Therefore, the enrollment, the reservation and the communication are a lot easier and faster for the candidates. Within a maximum of 3 weeks you will receive an email which will confirm that you already have your certificate or report of the results in your personal area available. One of the great advantages of this certificate is, that it offers you different forms of exams catering to the different needs of the candidates. The exams do not just concentrate on the kind of Spanish being spoken in Spain, but also keep in mind the different linguistic variables of the Spanish language. Another great advantage is, that you can choose the day, the time, the place and the type of exam you want to take. Besides all the advantages this certificate holds for the candidates, it also has great advantages for companies. It makes it, for example, a lot easier for your company to find the ideal candidate with the characteristics your company is looking for. Maybe you are in need of a candidate that has a high level of spoken Spanish and you do not really need someone who has such a high level of written Spanish, or the other way around. 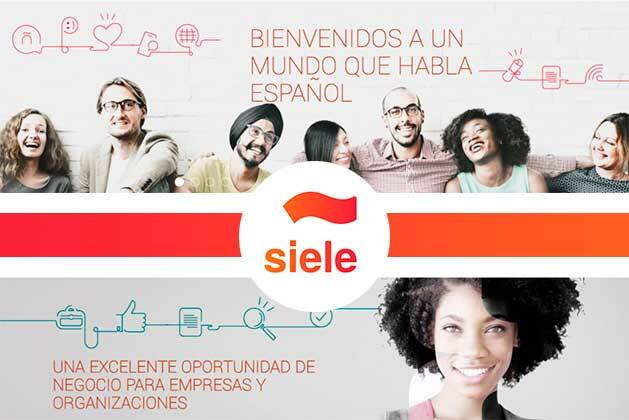 Then SIELE is a great way to choose the professionals you need. Which differences do exist to the DELE? The DELE is also an official title accrediting your level of Spanish, awarded by the Cervantes Institute in the name of the Spanish Ministry of Education, Culture and Sports. The certificate is also awarded to accredit different levels of Spanish, ranging from A1 to C2 and is internationally recognized. Although the number of examination centers (more than 1.000 centers) has been increasing, not all of them offer all of the exam dates or the whole range of exams. With SIELE you can choose your preferred exam center and and also the type of exam you would like to take. The DELE exam includes all methods, which means that it encompasses the oral part as much as the written and comprehension ones. For the DELE exam you can find a few established dates on which you can take the exam, whereas with the SIELE exam you can choose the day and time on which you would like to take the test.